In the presentation of the 2018 first quarterly achievements by the Ministry of Human Rights, Social Affairs and Gender, action plans were executed at 90% while government action plans were carried out at 92, 3% compared with the expected activities . Martin Nivyabandi, Minister of Human Rights, Social Affairs and Gender says the Human Rights were promoted at 94, 76 % in the ministry’s quarterly achievements. “We did our best to achieve the expected goals,” he says. The commission of inquiry into Burundi has recently stated that the Human Rights situation continues to deteriorate. 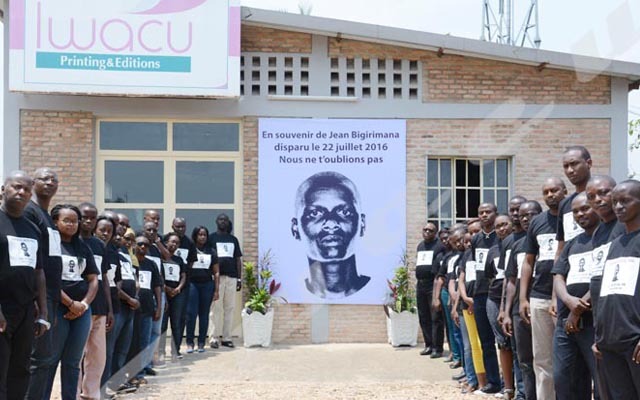 In mid-March 2018, Doudou Diène, Chairman of the commission of inquiry into Burundi has declared in front of the UN Human Rights Council that his commission has carried out 160 interviews, which added to another 500 conducted last year. “The commission has noticed that the situation is similar to the one observed last year,” he has said. Martin Nivyabandi says the Human Rights issue is more complex given that it is related to politics, social and environmental matters. He says Burundi has made significant improvements considering what have been achieved over the past few years. “We are surprised to hear some wrong reports conducted on Burundi”, he says. Mr. Nivyabandi says the recent report of the commission of Inquiry into Burundi has only changed dates and repeated what has happened in the country since 2015. Over the past few years, the government has severed ties with the UN High Commission of Human Rights in Burundi. Martin Nivyabandi says there was any agreement with the commission in the beginning. “They started working in Burundi as lawyers but step by step, they became UN officials without any contract,” he says. The Human Rights Minister says Burundi government must conclude an agreement with them to see if their presence is necessary or not before the resumption of their activities.